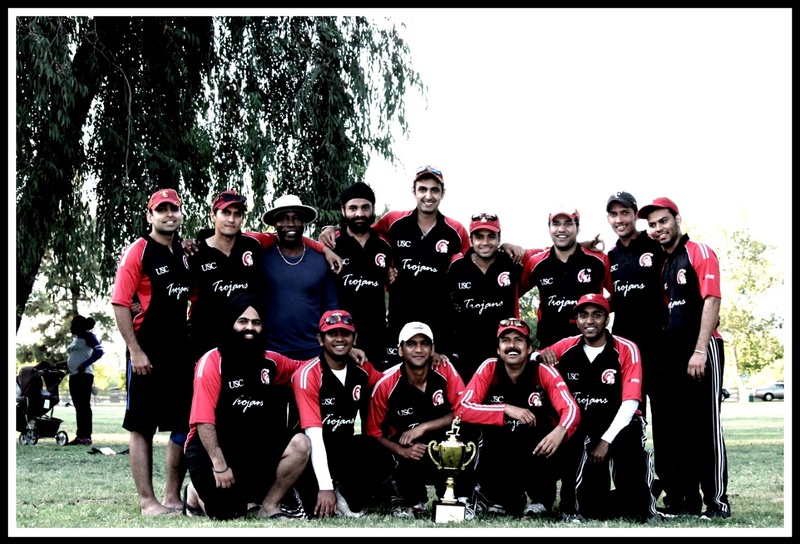 The USC Cricket Team participates in various Regional/National leagues around the year. Regionally the team represents USC (University of Southern California) in the Southern California Cricket Association League (SCCA). The SCCA league is the oldest and largest cricket leagues in North America and is host to the top cricket facilities in the country. With over 50 clubs participating in this league, and representation from both regional and national players from all over the country, it is also one of the most fiercely competitive leagues in the US. The USC Cricket Team's Calendar kicks off in January, as the team participates in the Southern California Winter League (SCWL), which is a T-20 tournament played at the breathtaking Marina Vista ground in Long Beach, next to the Pacific Ocean. The tournament runs from January-March. Then, from April-October, USC plays in the SCCA League, which offers an endurance challenge as the top cricket players in the region face off to win the most challenging title. The SCCA league offers 3 challenging tournaments each season, the 45 over Summer League, the 20 over T-20 tournament and the 45 over playoff trophy. The venue for the tournament is the Woodley Grounds facility in Van Nuys, the only facility in the US to boast of 4 international quality grounds and practice facilities in the US. The SCCA League is also home to many well-known international stars who play in various clubs across the league, including players on the USA Cricket Team. In the 2010 and 2011 season, the USC Team also participated in the American College Cricket Championship which is held in Ft. Lauderdale in Florida. The ACC is the only championship which unites college cricketers around the nation to a grueling 5-day T-20 tournament. The tournament is held at the Ft. Lauderdale Cricket Stadium (the only ICC recognized facility in North America). To Apply to play for the USC Cricket Team you MUST be a Registered Member with the Trojan Cricket Club (TCC) and selection to the team is based on skills demonstrated in the Hard Ball Tryouts, Practice Sessions & the Cromwell Premier League.